Paige Dolecki - Stampologist: Heart 2 Heart Challenges - Let's Get Sketchy! 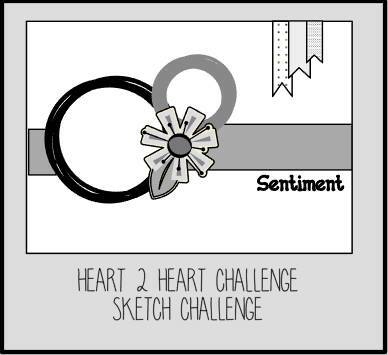 I really enjoy using sketches to get myself started on projects and today at Heart2Heart Challenges we have an AWESOME sketch to get our creative juices flowing! I grabbed my CTMH Artistry cartridge and decided to use the fabulous gemstone cuts to create a shimmery flashy motivational card to send to my daughter. It gave me a chance to use our new White Glitter Paper and Gold Foil Tape as well as three of our new cardstock colors - Sapphire, Eggplant and Fern. This card is full of shiny bling and can still be slipped into an envelope for mailing. Here is the beautiful sketch created by Brandi Robinson for us this week. I know you are going to have fun creating with this one! Be sure to link your projects up at Heart2Heart Challenges!